We're inching ever so close to the maiden launch. Spectators near the historic launch pad 39A at the Kennedy Space Center on December 28 were able to spot the vertical raising of SpaceX’s highly anticipated Falcon Heavy rocket. The rocket is being prepared for additional testing before its maiden launch, which will likely take place at some point in January. The 70 meter (229 ft) tall rocket is composed of two refurbished Falcon 9 boosters and a newly designed central core stage. The rocket’s first stage is made up of a total of 27 engines that will be able to carry up to 63,800 kg (140,600 lbs) of cargo into low Earth orbit. The Falcon Heavy is set to be the single most powerful rocket ever built, producing the most thrust of any launch vehicle since the space shuttle. The maiden launch will feature a dummy payload, since Musk has previously stated that he believes there is a “good chance” of the launch going awry. Even so, the payload very well may contain something that will be entirely new to spaceflight: a Tesla Roadster. Musk has posted photos that seem to show the vehicle prepped for launch, though the jury is still out as to whether he is serious. The Falcon Heavy launch has been delayed multiple times since summer 2017, so it’s encouraging to see it finally rising on the launch pad. 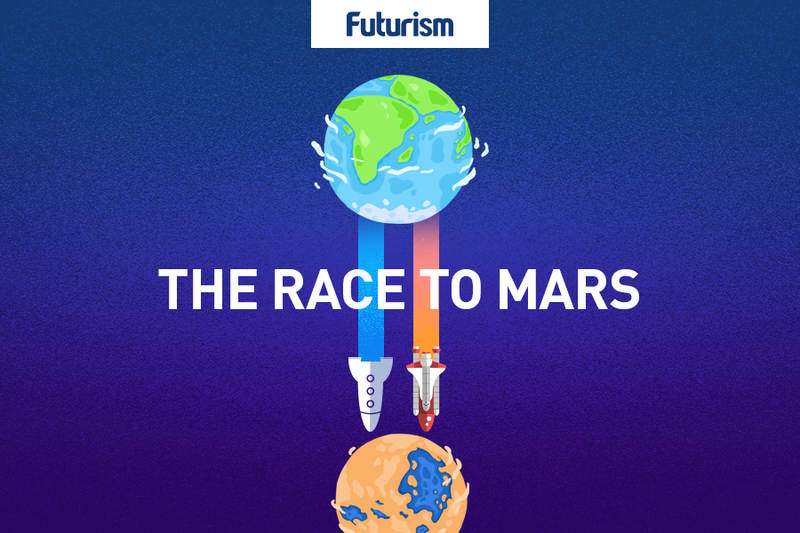 An official test of the Falcon Heavy rocket will kick off SpaceX’s long-term plan of landing on, and eventually colonizing, Mars. Musk said in September that he hopes to send cargo ships to supply and explore the Red Planet by 2022, and human colonists by 2024. Since Falcon Heavy is slated to carry some of those supplies, and eventually a Dragon spacecraft containing humans en route to the moon, it’s fitting that it will be launching from one of the most historic launch pads out there. Launch pad 39A has a storied history as part of the Kennedy Space Center. The launch pad and its accompanying complex is the former home to the Apollo program and was also modified to accommodate the Space Shuttle program. Launch pad 39A has once again been modified to serve as the launch spot for the beginnings and future of Falcon Heavy, the next evolution is SpaceX’s rocket design. The Falcon Heavy rocket will be an important part of the overreaching goal of SpaceX to put a human on the Red Planet. There is a lot riding on this rocket’s success; while it will be wonderful if the first Heavy launch goes off without a hitch, the company does have a history of learning from its mistakes.